Upbeat, cool, funky and smooth. This song will always bring your happy back. Guaranteed! 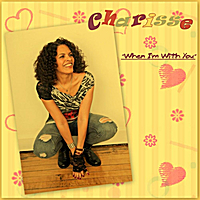 This is the long awaited Brand New single by, Charisse. It's been four years since her last CD, and now we can finally hear the new single of 2011. So turn up the volume and enjoy! Loved this jaunty little tune. Reminds me of being in love. Charisse's voice is crisp/clear and she has an interesting end to the song.